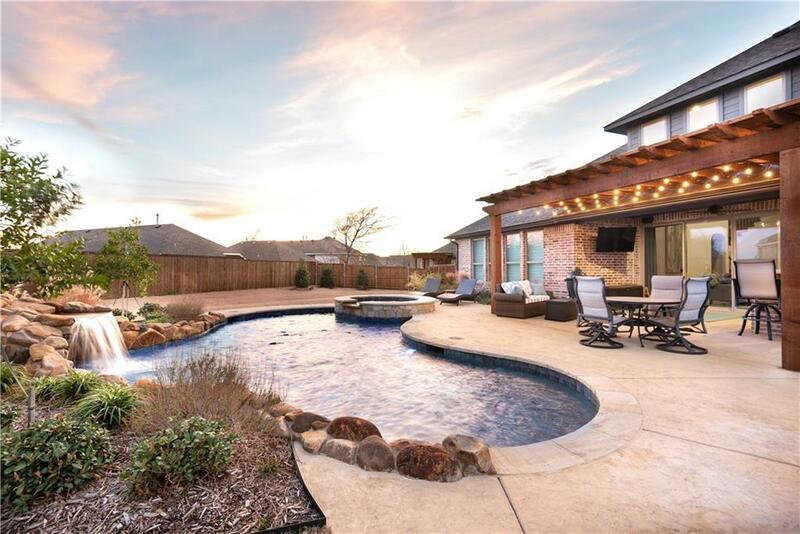 This absolutely gorgeous 4BR home will take your breath away. Imagine entertaining in this gourmet kitchen, open to the Family Room and overlooking a stunning pool and outdoor living area. Huge backyard with plenty of room for children and pets to run around. Master and secondary BR down. Upstairs are 2 bedrooms, game room, built in desk with book shelves, and a media room with a dry bar and built. Enjoy the amenities of Stonebridge Ranch. Easy access to major highways, restaurants, and shopping. You won't want to miss this opportunity.